- Ageless, timeless, and eternal, the carved stone crescent dreams on beneath the moonlit skies. T-shirts are 100% cotton, and are printed with environmentally safe, water-based inks. Choose Size... Small - Only 1 left! Medium - Sorry, Sold Out! Large - Sorry, Sold Out! X-Large - Sorry, Sold Out! Please choose the Size. 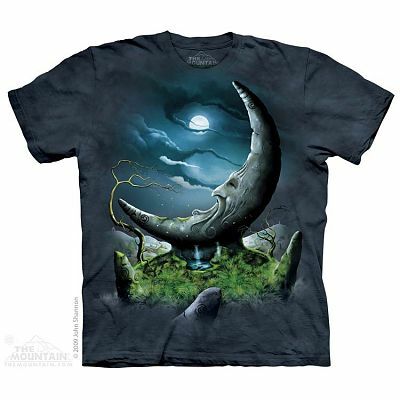 Do you have any other questions about our Moonstone T-Shirt?